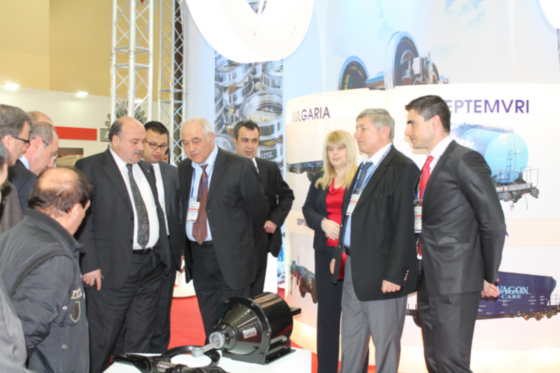 KOLOWAG partisipated in the second edition of Eurasia Rail rolling stock, infrastructure & logistics exhibition, held in Istanbul CNR expo center 8-10 March 2012. The stand was visited by the Bulgarian Minister of Transport Mr. Ivailo Moskovski togeher with the Deputy Transport Minister Kamen Kichev, they came together with the transport Minister of Turkey Mr Binalli Yildirim and gave flowers to KOLOWAG ladies for the International Women’s day 8 March. 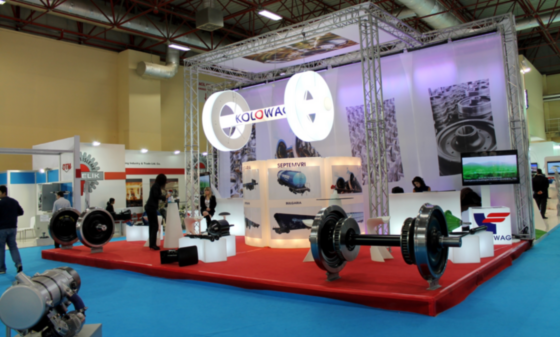 Special attention to KOLOWAG was given by the General Director of the Turkish State Railways TCDD Mr Suleyman Karaman, as KOLOWAG is constant supplier of wheel sets for the Turkish National Producers of freight and passenger wagons in Turkey for a long time.